Mysteries and insights about Ceres are being discussed this week at the European Planetary Science Conference in Nantes, France. 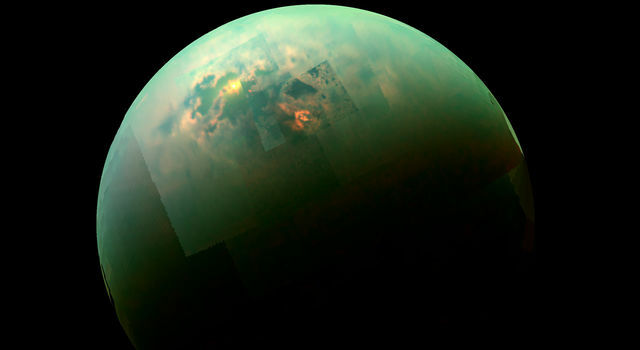 NASA's Dawn spacecraft is providing scientists with tantalizing views and other data about the intriguing dwarf planet that they continue to analyze. 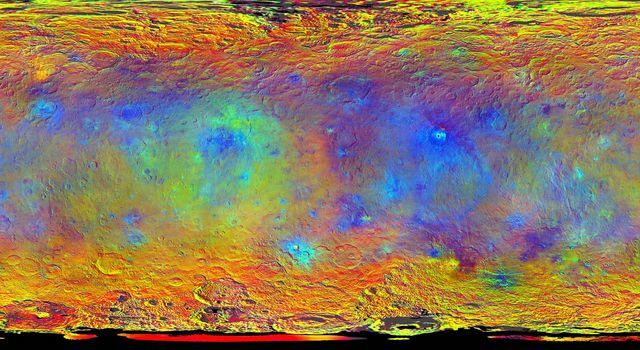 "Ceres continues to amaze, yet puzzle us, as we examine our multitude of images, spectra and now energetic particle bursts," said Chris Russell, Dawn principal investigator at the University of California, Los Angeles. 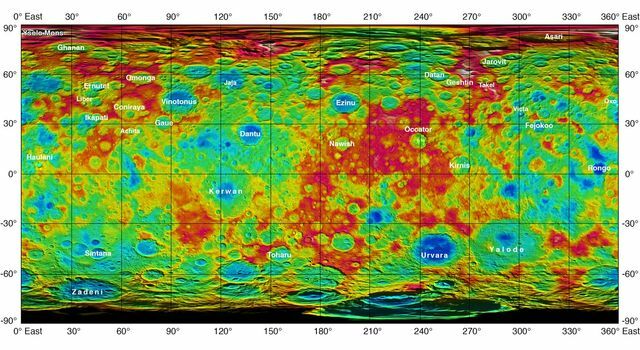 A new color-coded topographic map shows more than a dozen recently approved names for features on Ceres, all eponymous for agricultural spirits, deities and festivals from cultures around the world. These include Jaja, after the Abkhazian harvest goddess, and Ernutet, after the cobra-headed Egyptian harvest goddess. A 12-mile (20-kilometer) diameter mountain near Ceres' north pole is now called Ysolo Mons, for an Albanian festival that marks the first day of the eggplant harvest. Another new Ceres map, in false color, enhances compositional differences present on the surface. 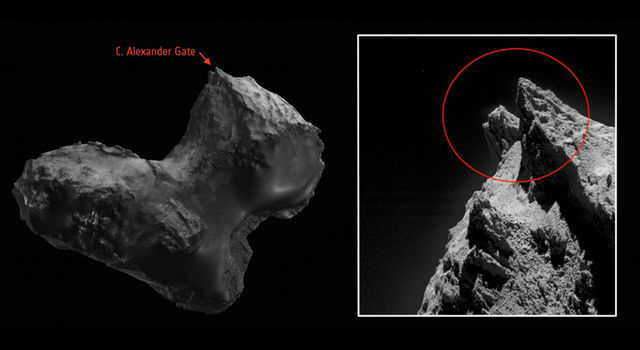 The variations are more subtle than on Vesta, Dawn's previous port of call. 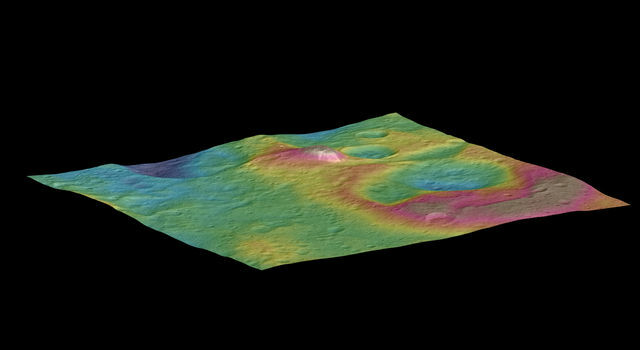 Color-coded topographic images of Occator (oh-KAH-tor) crater, home of Ceres' brightest spots, and a puzzling, cone-shaped 4-mile-high (6-kilometer-high) mountain, are also available. Scientists are still trying to identify processes that could produce these and other unique Cerean phenomena. "The irregular shapes of craters on Ceres are especially interesting, resembling craters we see on Saturn's icy moon Rhea," said Carol Raymond, Dawn's deputy principal investigator based at NASA's Jet Propulsion Laboratory, Pasadena, California. 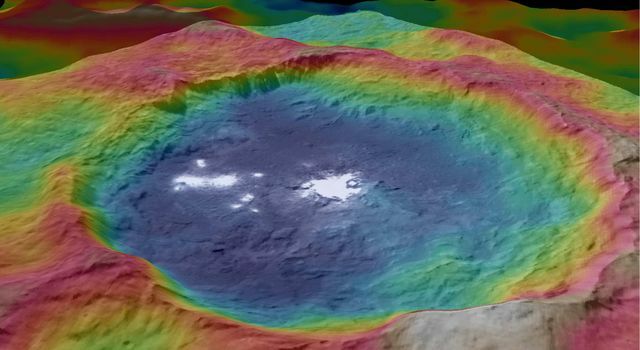 "They are very different from the bowl-shaped craters on Vesta." 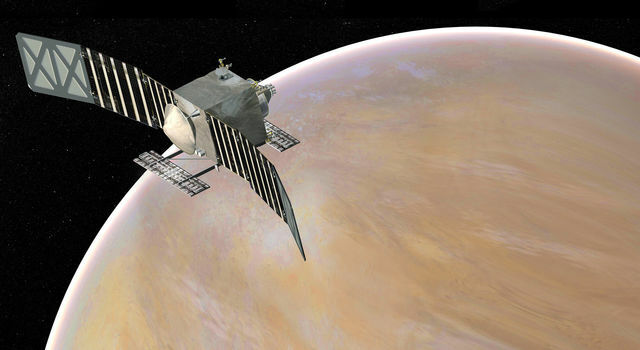 A surprising bonus observation came from Dawn's gamma ray and neutron spectrometer. The instrument detected three bursts of energetic electrons that may result from the interaction between Ceres and radiation from the sun. The observation isn't yet fully understood, but may be important in forming a complete picture of Ceres. 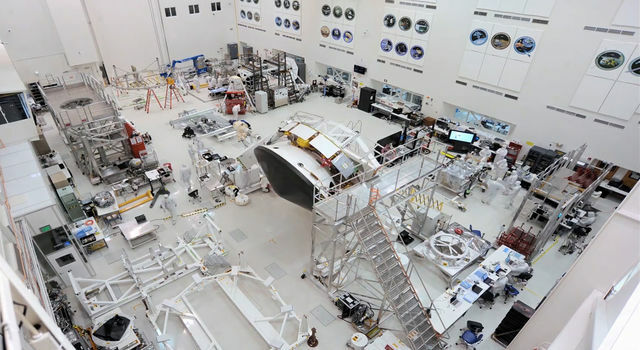 "This is a very unexpected observation for which we are now testing hypotheses," Russell said. Updated on Sept. 30th at 1 p.m. PDT with corrected height of the cone-shaped mountain.